This JR connector has a 0.1" pin spacing and is commonly used on RC servos. into the corresponding male JR connector. 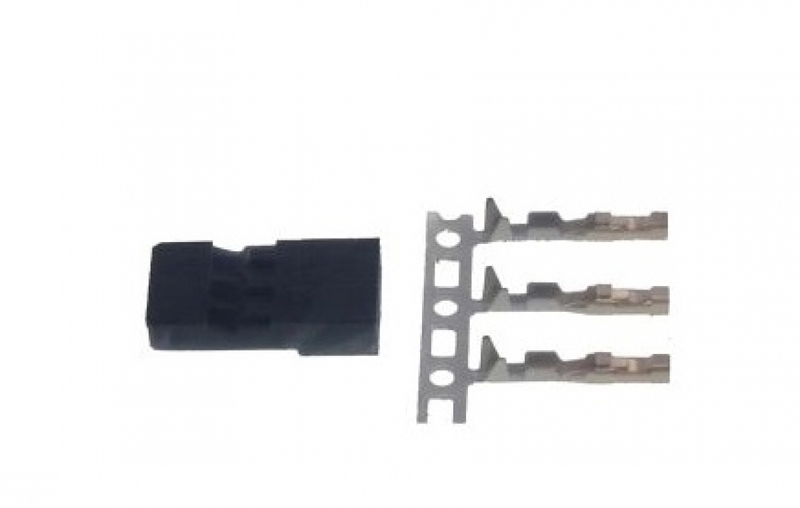 This connector is also compatible with male Futaba J connectors. The crimp pins are designed for 22–26 AWG wires, and we sell a crimping tool that works well with them. battery pack cables for plugging into an RC receiver, etc. and we carry an variety of premade servo extension and splitter cables.